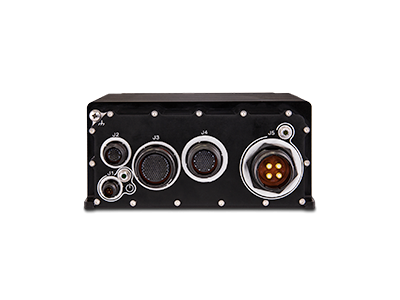 A rugged COTS encoder, the Makito™ XR is designed for the most demanding Intelligence, Surveillance, and Reconnaissance (ISR) applications and built to match the physical and mission-critical requirements of Full Motion Video (FMV). The Makito XR High Profile encoder supports up to 4 HD streams or 2 1080p60 full HD streams, can output two different bitrate (resolution/framerate) H.264 streams simultaneously, and allows for scaling and frame rate settings to be adjusted on-the-fly. Makito XR delivers highly efficient encoding with up to twice the quality within a given bandwidth compared to industry-leading encoders. With exceptional stream quality, essential for making mission-critical decisions and identifying objects, the Makito XR delivers pristine quality at bitrates lower than 2Mbps - ideal for the most constrained networks and satellite transport. The Makito XR encoder supports industry standard MISP-compliant Key-Length-Value (KLV) metadata transport within the MPEG-2 transport stream. Metadata is captured via serial port, Ethernet or the SDI-VANC embedded input stream. KLV may be transported using the MISB 0604.2 defined asynchronous or synchronous formats. KLV and video synchronization is achieved by leveraging the MPEG-2 Transport Stream presentation time stamps (PTS) allowing receivers to re-synchronize the metadata with the video. The Makito XR also supports Cursor-on-Target (CoT) metadata. CoT is converted into standard KLV format prior to being multiplexed in the MPEG-2 transport stream. Designed for easy integration on both manned and unmanned platforms, including aerial, naval, and ground vehicles, the XR is a single Line Replaceable Unit (LRU) that will not require major system upgrades to existing platform designs. Tested against the highest international standards for ruggedization, including MIL-STD 810G, it can survive shock and vibration from any mobile application, including law enforcement, military, and underwater vehicles deployed by oil and gas companies. Makito XR encoders support mission-critical streaming video communication challenges, where real-time decisions require the lowest possible latency at the best possible quality. Makito XR delivers H.264 video up to 1080p60 with metadata and extremely low end-to-end latency when coupled with a Makito X decoder or Haivision Instream Mobile players.